As you browse the resources and gifts located in the Legacy Store, our bookstore located outside Legacy Hall at the Creation Museum, your mouth might begin watering with the pleasing aromas of chocolate, peanut butter, and more coming from Uncle Leroy’s Fudge! You might even catch a glimpse of the fudge-making process. Go behind the scenes to see how Uncle Leroy’s fudge is made and learn more about our other delicious food options below. Have you ever wondered how they make the delicious fudge? Our CEO Ken Ham and Bodie Hodge headed to Uncle Leroy’s Fudge at our sister attraction, the Ark Encounter to learn from Uncle Leroy himself. Get a behind-the-scenes look at the process in the video below. Warning: This video may make you hungry! 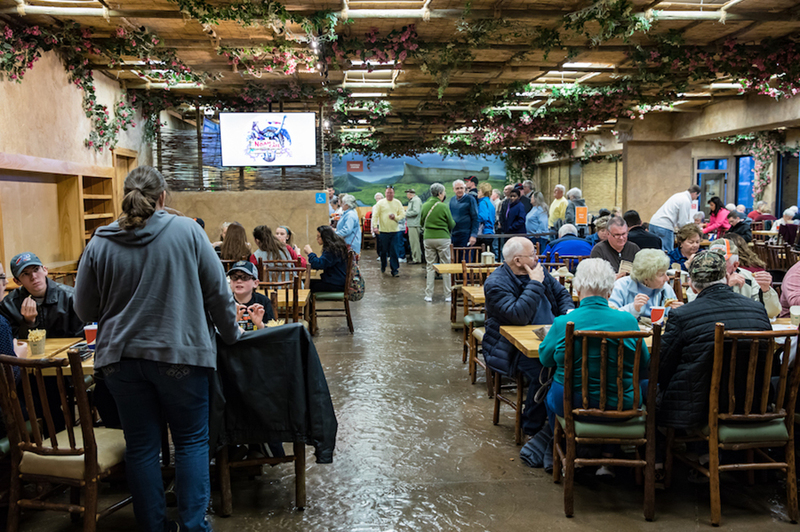 Head into Noah’s Café for options such as the Goliath burger, pot roast sandwich, chicken strips, turkey club wrap, chicken craisin crunch salad, and more! Or stop by the Palm Café for a delicious grilled cheese sandwich, soup, or a cheese or pepperoni pizza! 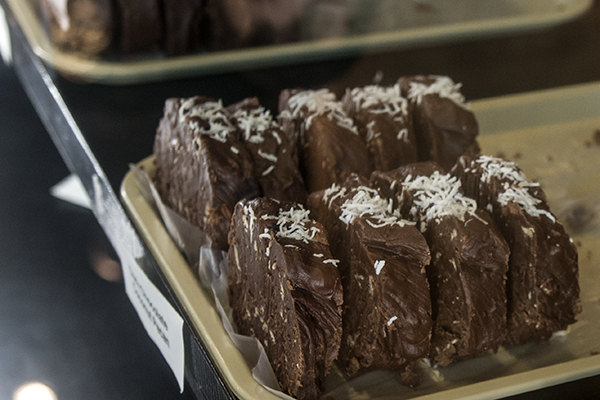 Start planning your trip to the Creation Museum today, and don’t forget to take home a few of the delicious fudge slices! Share your favorite photos of your visit with us Facebook, Instagram, and Twitter using #creationmuseum.